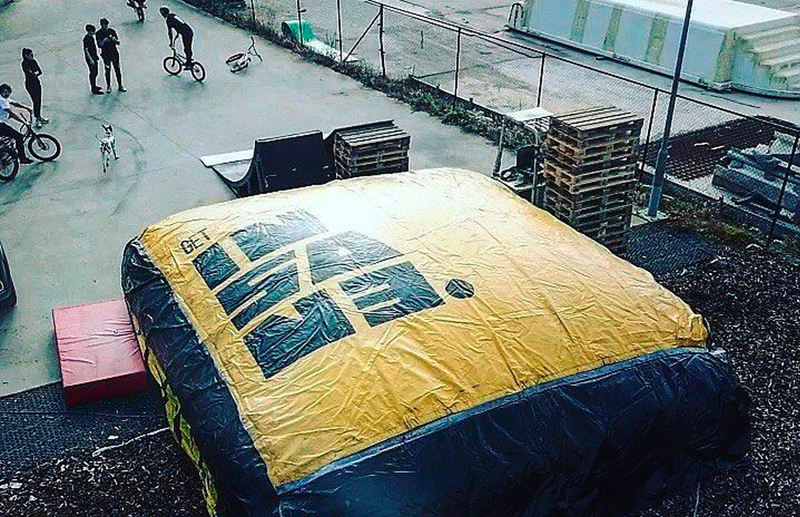 The airbag is 9 by 10 meter and 1,5 meter high. You can make a free fall of maximum 8 meters high. But there are more jumping levels possible. The airbag always comes with a supervisor.